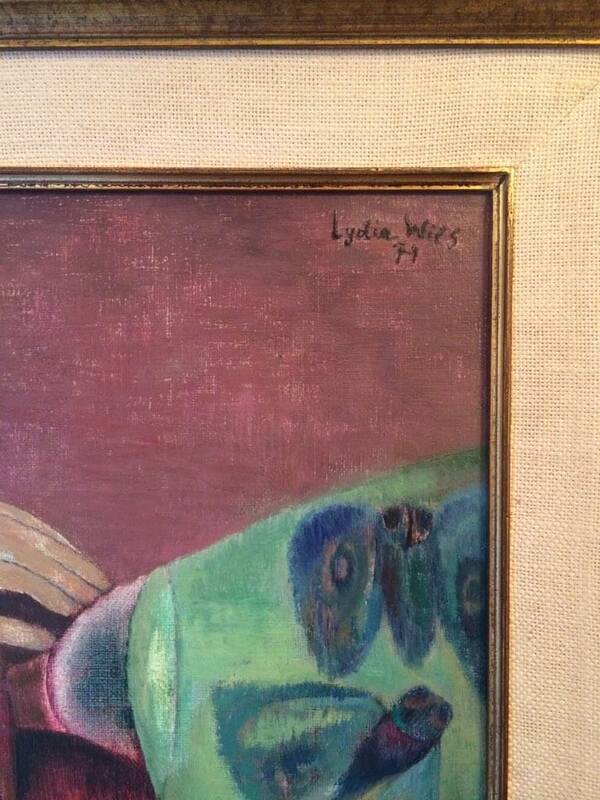 Lydia Wils Oil Painting on Canvas 1971. 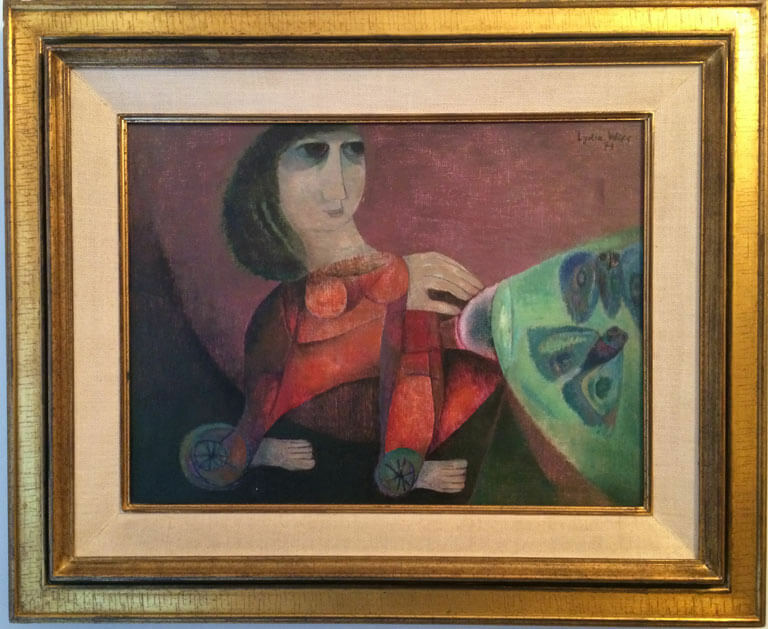 Lydia Wils (1924-1982) is one of the great Belgian symbolist painters of the 20th century. 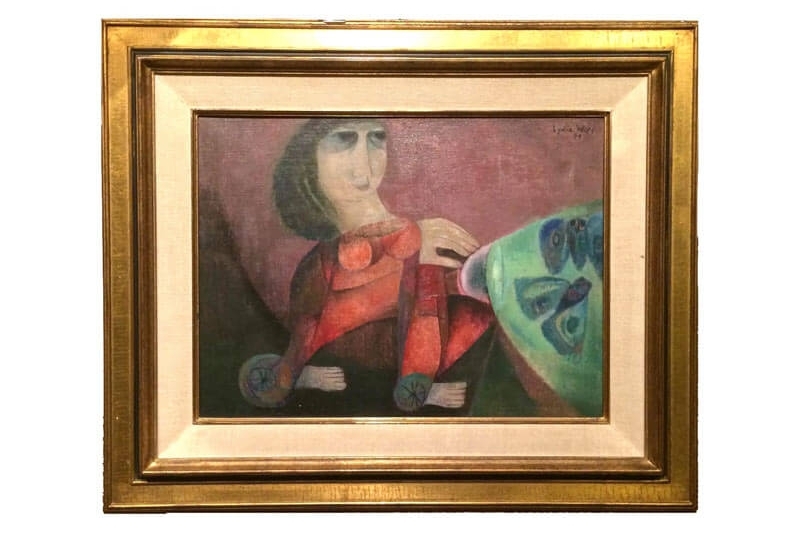 More about Lydia Wils: Lydia Wils was born in Antwerp 1924. After studying philology at the Free University of Brussels, she dedicated herself in 1950 as as autodidactic to painting with oil. She deployed herself like a neoexpressionistic painter of symbolic and phantasmagoric art and suggested human beings (mostly women) on a very private way through i.a. certain body parts to be imaged larger than the rest of the body. The animals (especially birds) in her works always have a symbolic significance. In 1968 her work was awarded with the Louis Schmidt price. Her paintings were purchased by i.a. the Belgian State, the Museum Modern Art of Brussels and the la Moyne Art Foundation of Talahassie, USA. She was married since 1950 with dr. Louis Denonne (° 1922), Honorary Director-General of the Ministry of Labour and Labor. She died in Brussels on 12 September 1982.